I already have to live with diabetes all day, every day. Why do I have to attach another thing to my body to remind me of that? So, my new continuous glucose monitor had been sitting in the box it was shipped in since around Thanksgiving. Beginning to wear it now is not a New Year’s Resolution, or an effort to game my diabetes data gathering to avoid the high carb temptation that bombards us during the holiday season. No, it’s not that simple. I’m not going gently into that CGM-inspired good night. Nor do I have a simple answer for why I’ve waited so long to use a CGM, and why I’ve waited so long to start to wear it since it arrived. In this case, the answers aren’t simple. They’re also not pretty. I can give you reasons why I’ve resisted so long. Worries about having to carry the receiver in my already overloaded pockets (no, I don’t have an iPhone, and until an iPhone carries a price less than a few hundred dollars more than a comparable phone, I’ll stick with my Android platform– which means I have to carry the receiver too). Concerns about using up already valuable real estate by having both an insulin pump and a CGM inserted into my body at the same time. Any concerns I might have had about appearances, I lost long ago. When it comes to looks, I care a lot more about my clothes than about my devices. So how it looks doesn’t affect me. 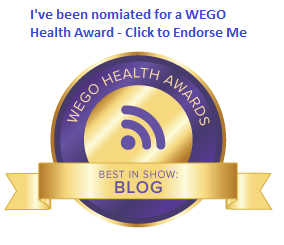 Wearing an insulin pump was an easy process for me. No problems getting started or staying with it, and nearly seven years later, I’m a proud insulin pump user. What’s the issue anyway? I don’t know, but it’s troubling. I know that something is definitely bothering me about this. I can tell by the way I delayed getting started, until the reasons for my delay were outweighed by the embarrassment that I have access to a device that many crave and cannot get their hands on. I must go forward. Yet, when I did my first insertion, I was using language that would make a sailor blush. I got even more surly as that first insertion didn’t work, because my brand new transmitter was crap from the start. Now I’ve used two transmitters and two (actually three, after working with technical support to get everything right) sensors with nothing to show for them. Finally, on the fourth try, I got it to start up and calibrate properly. But my issues, I fear, go deeper than a sensor insertion. 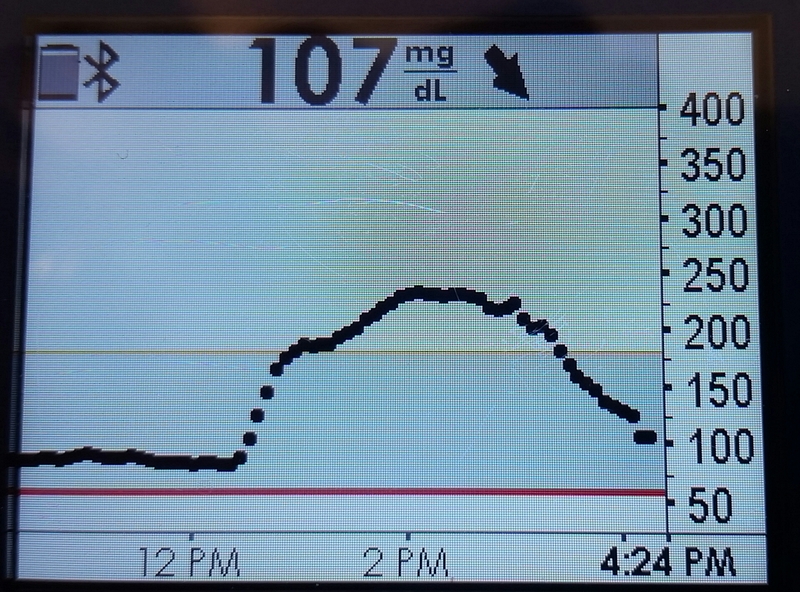 I think my problem may be the notion, the confirmation, that a CGM gives you data 24 hours a day, seven days a week. In other words, it’s a constant reminder that I live with diabetes, a fact I try to forget every day. Yet, there’s no question. I must begin my CGM journey. As The Great Spousal Unit shared, and she was right: sometimes, I don’t want to believe what my numbers are without a glucose check. If I’m going to be such a slave to data (and you have to be one if you live with diabetes), sometimes I need data I can access even quicker than a BG check. But it’s not easy, and I’m not entirely sure why. The trick right now, I think, is to make the physical effort to get started, and then over time, work on what my brain and my heart are trying to tell me. I recently read a statistic sharing that adults living with diabetes are at least three times more likely to develop depression than other adults living in America. Depression isn’t exactly what I’m feeling. Still, I already know I have diabetes all day, every day… why do I have to wear something additional so I can be reminded of that? All day, every day? Ultimately, I need to remember that this is a device that could save my life. And over time, I may actually get used to wearing it. I’ll know I’ve turned the corner when my desire to get the data overwhelms the desire to rip it off of my body for good. Until then, the emotional price of data gathering seems awfully high. « Diabetes By The Numbers (Part 3): Christel Marchand Aprigliano and DPAC. I am glad you tried it out. I love mine and I hope you love yours as well. There is a definite learning curve to being successful with Dexcom and occasionally defective equipment slows down the adjustment. Give yourself a few months and I predict that you’ll find it life-changing. There are times I want to throw it against the wall, but in general I believe it keeps me safe so that I can lead the life I want to lead. And it does take a burden off the great spousal units….